Providing you the best range of uv resistant polythene film for greenhouse with effective & timely delivery. 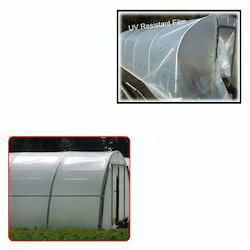 We provide a wide range of UV Resistant Polythene Film for Greenhouse. The range offered by us is available in a number of specifications as per needs of our clients. Extensively used in packaging applications, these films are much appreciated by the customers. Looking for UV Resistant Polythene Film for Greenhouse ?